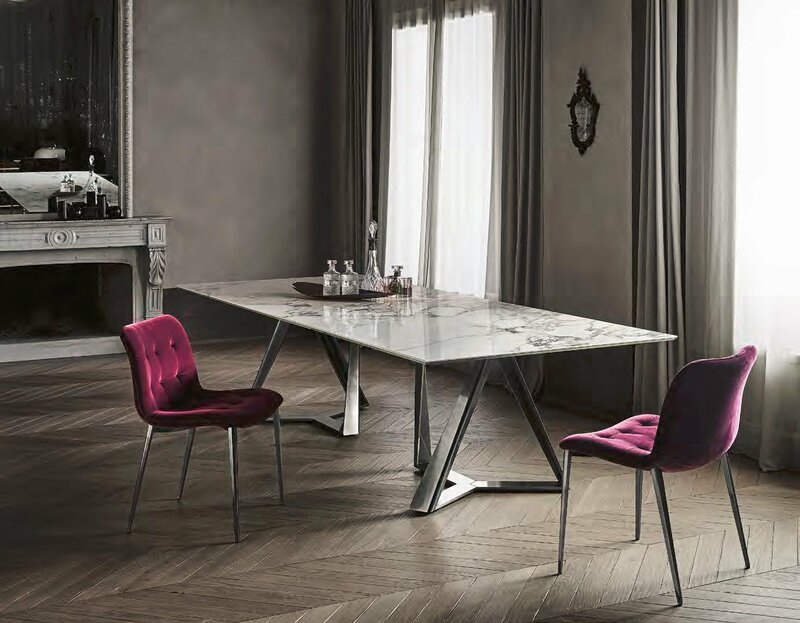 Beautiful fixed table with a supermarble rectangular top and natural silver lacquered base. Other tops and base finishes are available. Please call for pricing.